Samsung has permanently discontinued production of the Galaxy Note 7, pulling the plug on the smartphone that may be one of the worst product safety fails in tech history. Following numerous reports that the Galaxy Note 7 was exploding and catching fire, Samsung announced a massive recall of about 2.5 million devices. Unfortunately for the company, the problem was not resolved and replacement devices continued to catch fire. As reports began to pile up, cellular carriers stopped selling the device and yesterday Samsung instructed carriers around the world to stop selling or exchanging the phone. Today, the company announced it is stopping production of the device for good. "We can confirm the report that Samsung has permanently discontinued the production of Galaxy Note7." 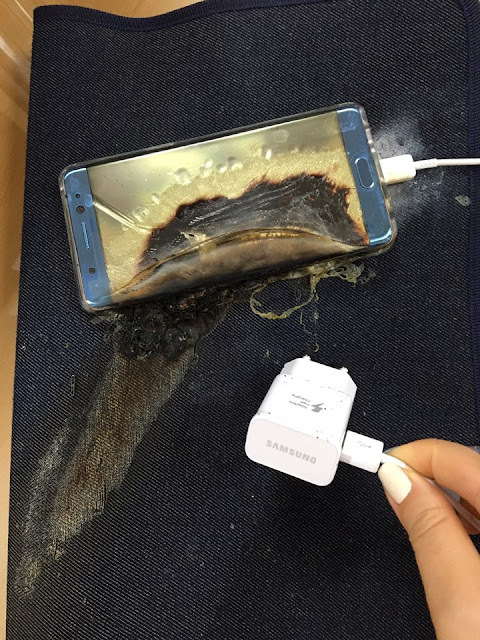 "For the benefit of consumers’ safety, we stopped sales and exchanges of the Galaxy Note7 and have consequently decided to stop production." Analysts estimate that the end to Note 7 sales could cost Samsung up to $17 billion. "This is the first time that I have seen a product recall go this badly wrong," financial analyst Richard Windsor said in a note to clients. “When it comes to the damage that it will do to Samsung’s brand, we are in uncharted territory”. If you have a Galaxy Note 7, we recommend taking it back to your cellular provider as soon as possible.